This year’s Chafer Conference was a potpourri of stimulating topics. 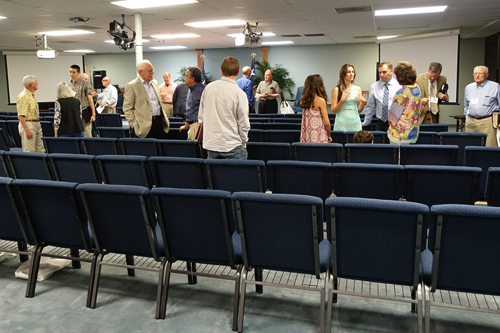 Several speakers had multiple sessions including Dr. Andy Woods and Dr. Bruce Baker. Since the Lord surprised us by taking our previous Keynote speaker, Dr. Glen Riddle, home in early March, we decided to continue with the main line of his topic which was to better understand the true grace of the gospel. Four of us are contributors to a recently published book, 21 Tough Questions about Grace. Jim Myers, Dr. Andy Woods, Mark Musser, and Dr. Robert Dean focused on these sometime challenging passages for understanding the grace of God. 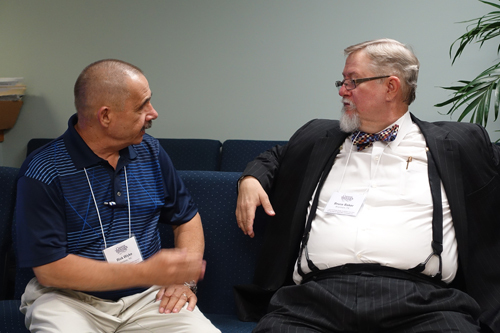 Dr. Bruce Baker took three sessions to address critical issues and trends in the Spiritual Life, including a critique of the Spiritual Formation Movement. Two of the most popular questions related to end times events were addressed. Both of these questions have gone to center stage due to the potential threat of a nuclear Iran and the rise of ISIS. Dr. Andy Woods will give a two-session presentation on Ezekiel 38–39 and the timing of those events. And Dr. Tommy Ice addressed a frequently asked question, "Does Biblical Prophecy Suggest a Future Moslem AntiChrist?" 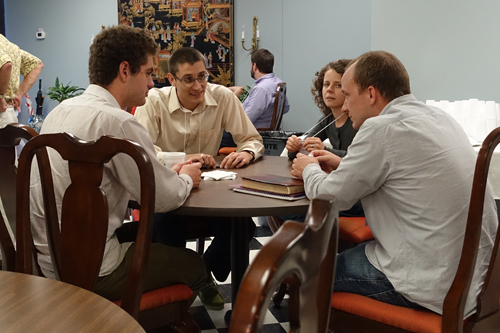 Additionally, we had a presentation by Chafer graduate, Nate Purtzer, on the "Value of Learning Biblical Greek". The conference DVDs are available here or here. To view all video Bible studies in the 2015 Chafer Theological Seminary Bible Conference series, click here. To listen to all 2015 Chafer Conference sessions as a podcast, copy and paste the following URL into your podcast software. You can find the conference materials for the 2014 Chafer Theological Seminary annual Pastor's conference here. The theme for the 2014 conference was Dispensationalism. Much controversy has been stirred up regarding dispensationalism since John Nelson Darby first systematized this theology. Since the early 19th century, though, millions of faithful believers have learned to “rightly divide” the Word of Truth by learning to consistently apply principles of literal interpretation to the Scripture. The result has made it clear that God has a distinct plan for Israel and a distinct plan for the Church. At this conference we learned about the history of dispensationalism, theological distinctives of dispensationalism, and implications of dispensationalism for our understanding of God’s Word. The speakers at this year’s conference spent decades of study researching critical issues related to dispensational theology. We hope that God will give you fresh insight into the understanding and application of His Word in your life through the study of these topics. 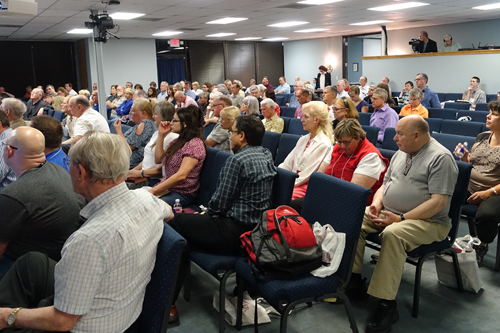 The conference was hosted by West Houston Bible Church March 10-12, 2014. The speakers at the conference included Keynote Speaker Elliott Johnson, as well as daytime speakers Bruce Baker, Charles Clough, Christopher Cone, Tommy Ice, Ray Mondragon, Mike Stallard, and Andy Woods. The conference kick-off speaker was Robert Dean. Click here to view the historical pictures presented by Paul Schmidtbleicher featuring George Meisinger. To view all video Bible studies in the 2014 Chafer Theological Seminary Bible Conference series, click here. To listen to all 2014 Chafer Conference sessions as a podcast, copy and paste the following URL into your podcast software. 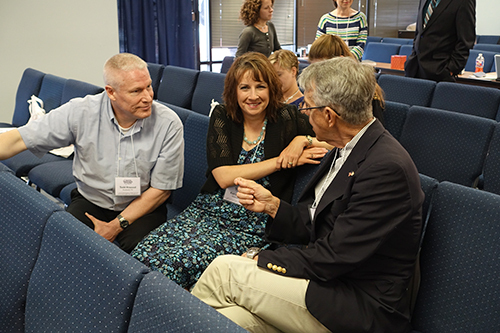 The theme for the 2013 conference was Biblical Priorities for Church Ministry with an emphasis on understanding the contemporary Christian worship controversy. Scott Aniol, the keynote speaker and author of "Worship in Song", a book we highly recommend, provided critical insight into understanding that there is biblically consistent music and music that contradicts a Christian worldview. Tens of thousands of churches have almost identical doctrinal statements. However, when attending them they may seem vastly different. That difference is what is usually called the “philosophy of ministry” and basically describes the priorities and emphases of any given church or ministry. Sadly, apostasy, division, and church splits are more often the result of differences in how to “do church”, than in what we believe, and few churches ever articulate their philosophy of ministry. One of the most divisive areas of philosophy of ministry today is not only the meaning of the word “worship”, but its exclusive identification with music. Our keynote speaker, Scott Aniol, is exceptionally qualified to address this topic and has written and spoken much about this over the years. Other significant areas that must be addressed relate to the priority of Bible teaching in a local church, what it means to be a pastor, ministry to men, and ministry to children, along with many other day-to-day activities of a local church. 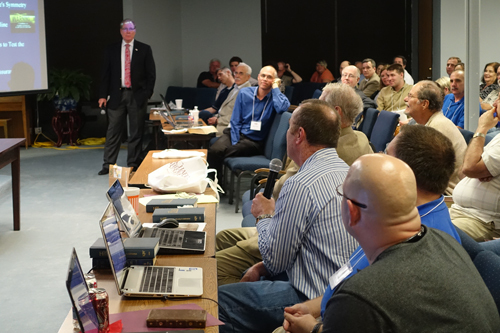 The men teaching at this conference combine decades of experience in numerous different venues of church ministry. Each is committed to the sufficiency of Scripture and the prime directive of Scripture to “feed the sheep,” “teach the Word,” and to do the work of an evangelist. But we also need to think through how these priorities shape the day-to-day operation and decision making in the local church. Hosted by West Houston Bible Church from March 4-6, 2013, the speakers at the conference also included daytime speakers Charles Clough, Robert Dean, Bruce Einspahr, Bryan Hult, George Meisinger, Jim Myers, Mark Perkins, David Roseland, Paul Schmidtbleicher, Jeremy Thomas, and Andy Woods. To view all video Bible studies in the 2013 Chafer Theological Seminary Bible Conference series, click here. 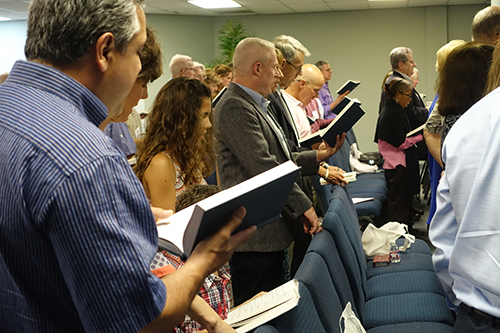 The theme for this year's conference was The Role of the Christian in a National Entity. Hosted by West Houston Bible Church from March 12-14, 2012, the speakers at the conference included Keynote Speaker: John Eidsmoe, with Special Guest Speaker: Jeffery F. Addicott, Special Series Speaker: Dr. Ron Minton. Other speakers include Charles Clough, Dr. George Meisinger, Mark Musser, Clay Ward, and Dr. Andy Woods. To view all video Bible studies in the 2012 Chafer Theological Seminary Bible Conference series, click here. 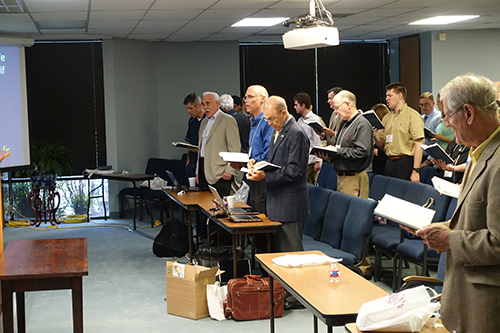 The Chafer Theological Seminary annual Pastors' Conference, hosted by West Houston Bible Church. The 2011 conference was held March 7th through 9th, 2011. This year's theme was Sanctification. Dr. Dean has spent much time in the past 30 years researching the differences between the different basic approaches or models to sanctification. Each model—Reformed, Lutheran, Pentecostal, Keswick, or Chaferian—reflects the theological presuppositions each system has in each area of theology. Most Christians are confused by teaching on the spiritual life because much that is taught in this area is an eclectic stew of inconsistent interpretations. 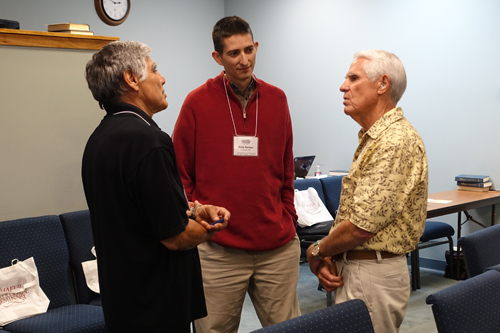 Each night of this conference Dr. Dean focused on the implications of Jesus’ command to “Abide in Me” (John 15:1–7) for understanding the central sanctification passages in Romans, Ephesians, Galatians, and 1 John. The daytime presentations formed the backdrop for understanding these passages. 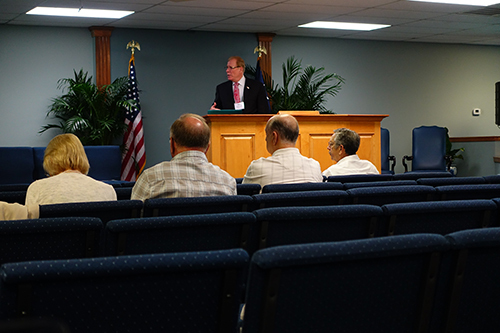 In these three evening messages, Dr. Dean brought together the results of these presentations to present a view of the spiritual life that is internally consistent and which most accurately fits a free grace gospel and a dispensational view of God the Holy Spirit. Keynote Speaker was Dr. Robert L. Dean. Other speakers included Bruce Bumgardner, Charlie Clough, David Dunn, Dan Inghram, George Meisinger, Jim Myers, Mark Perkins, David Roseland, Paul Schmidtbleicher, Clay Ward, and Andy Woods. To view all video Bible studies in the 2011 Chafer Theological Seminary Bible Conference series, click here. Conference materials for the 2010 Chafer Theological Seminary annual Pastors Conference. The theme for this year's conference was Creation and was hosted by West Houston Bible Church from March 8-10, 2010. 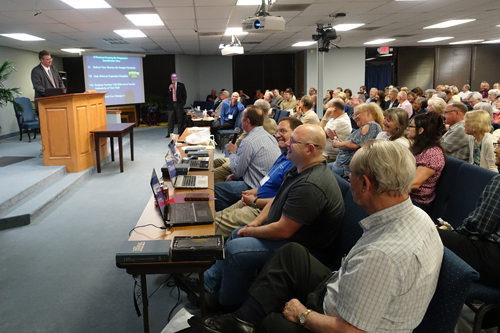 Speakers at the conference included Keynote speaker Dr. Steve Austin of the Institute for Creation Research (ICR), Dr. John Whitcomb, Charles Clough, Fred Lybrand, Ray Mondragon, Mark Musser, and Andy Woods. To view all video Bible studies in the 2010 Chafer Theological Seminary Bible Conference series, click here. Conference materials for the 2009 Chafer Theological Seminary annual Pastors Conference. The theme for this year’s conference was Biblical Hermeneutics and was hosted by West Houston Bible Church from March 9-11, 2009. The Keynote speaker was Dr. Ron Merryman. Other speakers included special guest speaker Dr. Robert Thomas, as well as Rev. Charles Clough, Dr. J.B. Hixson, Dr. Tommy Ice, Dr. George Meisinger, Pastor Clay Ward, and Prof. Andy Woods. To view all video Bible studies in the 2009 Chafer Theological Seminary Bible Conference series, click here. Conference materials for the 2008 Chafer Theological Seminary annual Pastor's Conference. The themes for the 2008 conference were Worldviews in Conflict and Psychology and the Church. The conference was hosted by West Houston Bible Church March 10-12, 2008. Keynote speaker was Dr. David Noebel and special guest speaker was Dr. Martin Bobgan. Other featured speakers included Rev. Charles Clough, Dr. Robert L. Dean, Dr. Mark Hitchcock, Dr. Thomas Ice, Rev. Daniel Inghram, Dr. George Meisinger, Rev. Ron Merryman, and Rev. Tim Nichols. To view all video Bible studies in the 2008 Chafer Theological Seminary Bible Conference series, click here. Conference materials for the 2007 Chafer Theological Seminary annual Pastor's Conference held at West Houston Bible Church. The theme for the 2007 conference was Understanding the Muslim Mind and featured Keynote speaker Pat Cate and special guest speaker Walid Shoebat, a former Islamic terrorist who converted to Christianity. Other speakers at the conference included Dave Anderson, Charles Clough, Tommy Ice, Ron Merryman, Jim Myers, Tim Nichols, Mark Perkins, and Mike Thompson. The dates of the conference were March 19-21, 2007. To view all video Bible studies in the 2007 Chafer Theological Seminary Bible Conference series, click here. 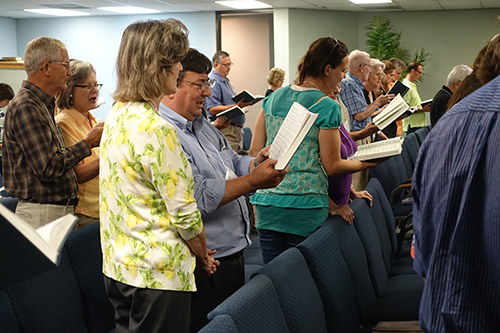 The Summer New England Bible Conference topic was Jerusalem. This short series was taught at Preston City Bible Church July 18-21, 2006, shortly after Dr. Dean returned from a tour to Israel.